P+S Technik is proud to support the creatives in the Motion Picture industry since over 25 years with advanced tools for your work. Lenses with a strong character and lenses which cover wider sensor formats expand your choice for the best fitting tool for your creative work. We are proud to announce the delivery of some of the most famous full frame lenses in a new cinematographer approved mechanic lens housing. 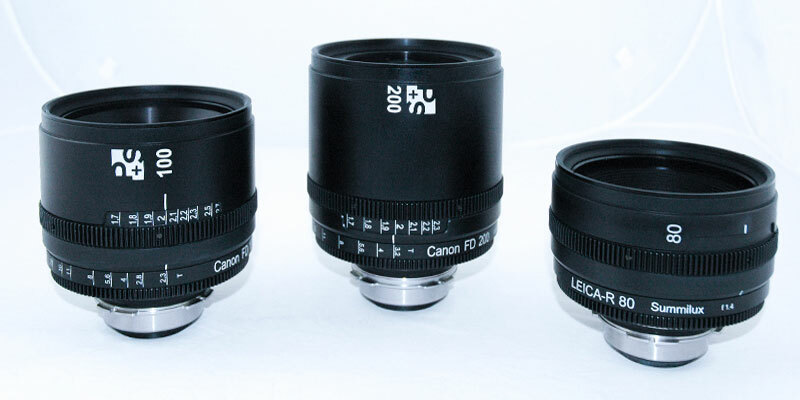 P+S Technik developed a wide range of new mechanic housings for lenses. This gives us the flexibility to rehousing a wide range of vintage lenses. Even solitaire lenses like the Meyer-Görlitz have a comeback with P+S Technik.